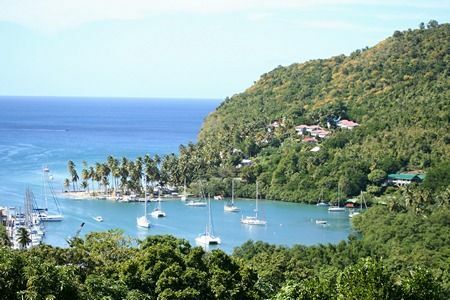 Comparing several factors, Caribbean investment citizenship programs are the best, according to a recent survey by Professional Wealth Management, a publication from the London-based Financial Times. The CBI index aims to measure Citizenship By Investment programs according to how well they perform in certain key areas. The seven pillars of the CBI index include freedom of movement, standard of living, minimum investment, ease of processing the application, citizenship timeline, mandatory residence or travel, and integrity (measured by the due diligence process). It has surveyed 13 countries that offer direct citizenship by investment around the world. These include Antigua and Barbuda, Austria, Bulgaria, Cambodia, Cyprus, Dominica, Grenada, Jordan, Malta, St. Kitts and Nevis, St. Lucia, Turkey, and Vanuatu. As new countries start their own programs, they are gradually added to the survey. Among the investigated 13 countries, the top five positions are held by Eastern Caribbean countries. Dominica is ranked best for the second year in a row with a 90% score, scoring among the top countries in five out of the seven categories mentioned above. For comparison, the lowest score achieved this year is of Cambodia (53%). European countries ranked best only in the “freedom of movement” category, boosted by the free movement within the Schengen zone. Dominica was commended for its efficient and simple application process, and for maintaining a more affordable investment threshold. The robust due diligence framework applied also adds to the integrity of the program. Moreover, the program is visibly contributing to the development of the country. This summer it was announced that 5,000 homes would be constructed using money collected in the investment immigration program. The Federation of St. Kitts and Nevis was the first nation to implement citizenship by investment back in 1984, and its program is still labelled as the platinum standard by industry insiders. Since 2015, it is one of the most popular programs, and now thanks to the investment option in the Hurricane Relief Fund it offers a really affordable option for international investors looking for a second citizenship. When choosing your second home, the first thing that you should consider is why you want a second citizenship in the first place. For example, which countries do you want visa-free access to? Or which family members do you want to include in your application? How soon do you need your new passport – or how much can you allow to wait? How much are you willing to invest? Caribbean investment citizenship programs offer attractive answers to all the above questions. Still, if you need help making a decision, feel free to contact us!